Bill Pyles and the guides of Ohio Bowhunting Outfitters have over 60 years of combined whitetail bowhunting experience. 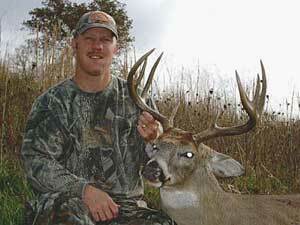 Bill Pyles of Ohio Bowhunting Outfitters is a full-time outfitter and guide. This is his job and his passion!! Bill confidently states, "If you go with a part time guide, you get part time results!! I have one job and one job only, to give you the HUNT of a LIFETIME, and the shot at a BRUTE from the Buckeye State!!!" Bill and the guides of Ohio Bowhunting Outfitters have over 60 years of combined whitetail bowhunting experience in Ohio's farmlands and hardwood bottoms. 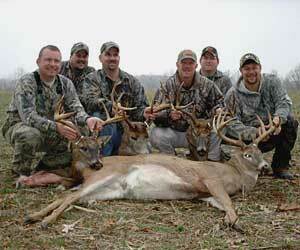 Ohio Bowhunting Outfitters hunts are 100 percent fair-chase, 100 percent heart-pounding bowhunts. We make no guarantees on harvest success, but we do guarantee to give you a memorable hunt in areas that are managed for bowhunters by bowhunters. All of Bill's properties are privately leased and operate in two of the top 5 counties in Ohio for harvesting Pope and Young class (125-inch minimum) and Ohio Big Buck class (140-inch minimum) bucks. These properties are for you - the bowhunter that dreams of that magic opportunity for a chance at the buck of a lifetime. It's what drives us all year long. For more information on available dates and price quotes go to the Ohio Bowhunting Outfitters web site below. To book a hunt now call: 740-403-4857 or E mail.